Wow, yesterday was the most amazing thrifting experience I've had in a long time! 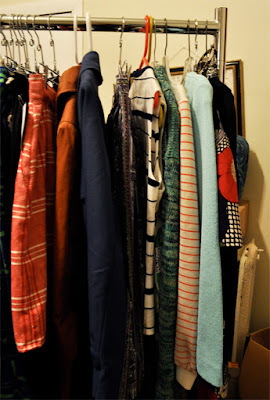 I was out running errands, and decided to "quickly" stop in this new-ish thrift store to see if I could find a winter coat for Josh. . .Well, 2 hours later, I left with a full cart of beautiful vintage goodies! 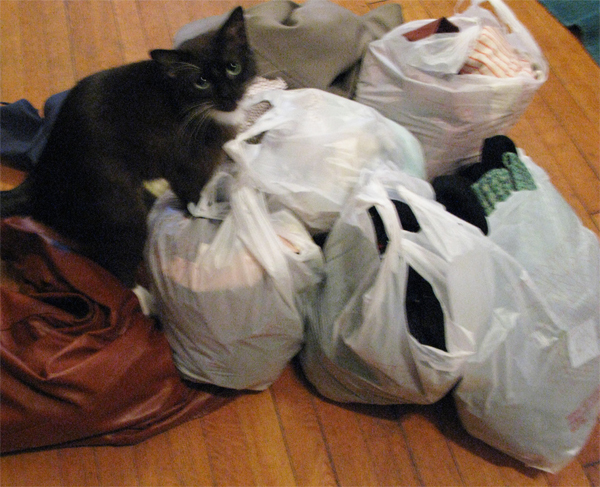 As soon as I came home and dropped the bags of clothing on the floor, Hank the cat made himself right at home. 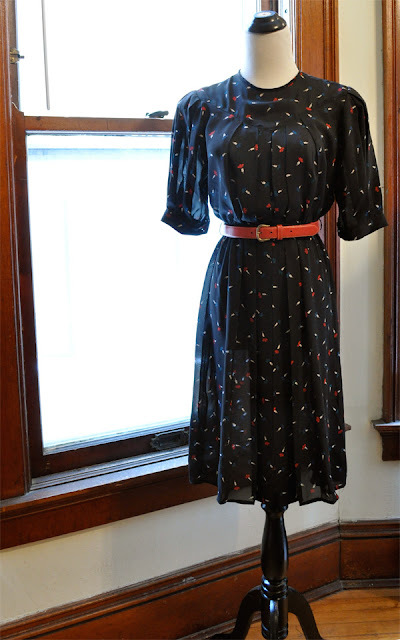 beautiful 1940's-inspired dress from the 1980's: silky semi-sheer black fabric with a red and blue floral pattern, and the sweetest little buttons at the cuffs. For sale on the website. 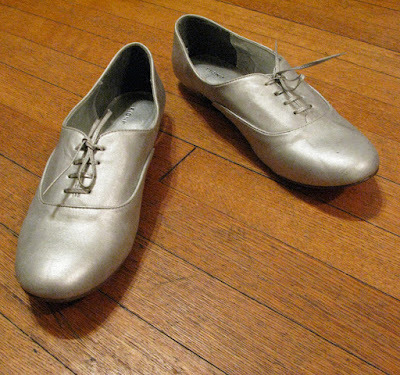 Metallic Silver Oxfords! Amazing, right? Unfortunately (for me), they're a half size too big for me. . .oh well- they're on the website too! So, in case you're wondering-- yes, I also found the one thing I was looking for. 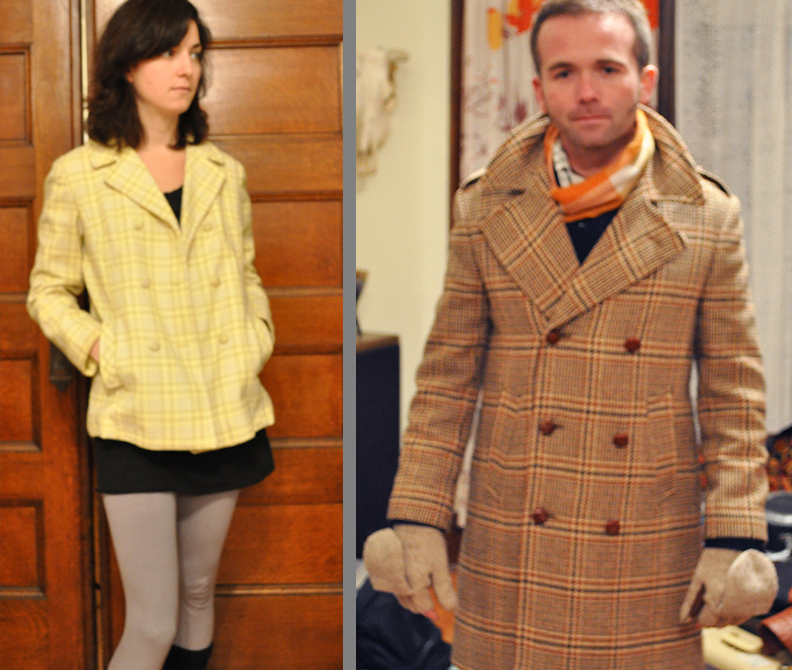 . . an amazing 1960's plaid peacoat for Josh. . .and one for me! 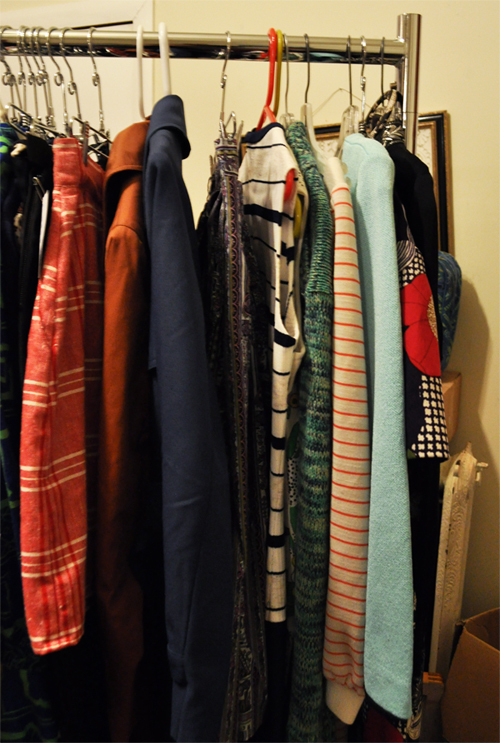 More lovely items will be up on the site very soon. Where is this thrift store? I'm always looking for good places to thrift in Madison. it's the new salvation army on east washington--but unfortunately everyone seems to know about it now, because last time I went it was very picked-over.